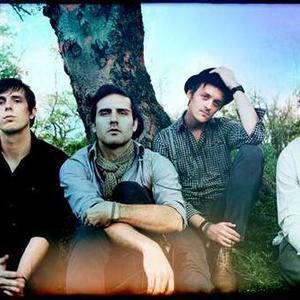 Paper Route is an American indie band from Nashville, Tennessee formed in 2004. The band's self-titled debut album was released August 29, 2006. Paper Route is composed of Chad Howat (bass, piano, programming), J.T. Daly (vocals, keyboards, percussion), Andy Smith (vocals, guitars, harmonica), and Gavin McDonald (drums). Howat, Daly, and Smith first began playing together late at night after a previous musical endeavor had disbanded. On their website, Paste magazine deemed Paper Route an artist to watch. Paper Route is composed of Chad Howat (bass, piano, programming), J.T. Daly (vocals, keyboards, percussion), Andy Smith (vocals, guitars, harmonica), and Gavin McDonald (drums). Howat, Daly, and Smith first began playing together late at night after a previous musical endeavor had disbanded. On their website, Paste magazine deemed Paper Route an artist to watch. From late July through August 2008, Paper Route was part of the Final Riot Tour, with Paramore, Phantom Planet, and Jack's Mannequin. They have also toured with Copeland and Passion Pit. In early 2008, the TV show One Tree Hill featured Paper Route songs in the episodes "Life Is Short" and "Cryin' Won't Help You Now". The band's song "Last Time" was chosen to be the theme song for the August 31, 2008 Nike+ Human Race. The band's major label debut, Absence, was issued on Universal Records on April 28, 2009. The album reached #13 on the Billboard Heatseekers chart.